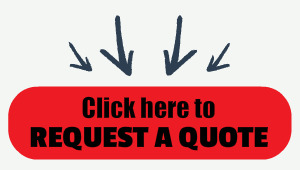 Keep your product moving in the warehouse without trying to find a stationary scale to weigh your pallet. 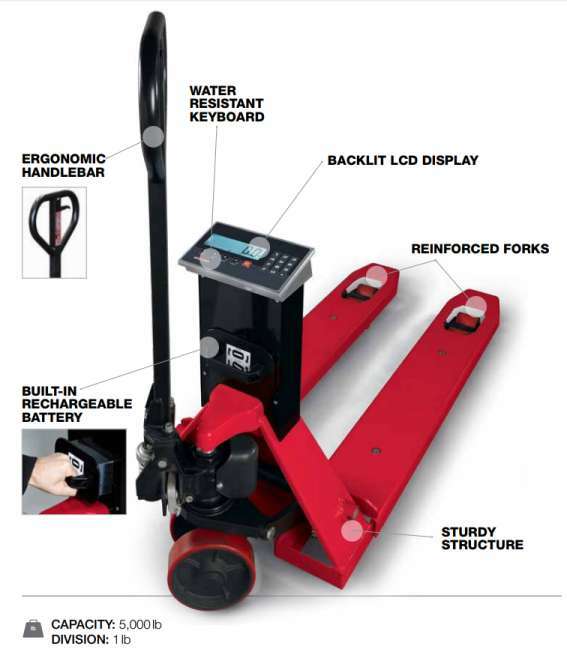 Weigh and transport pallets in one streamlined process with Rice Lake Weighing Systems RL-HPJ hand pallet jack scale. Item 183592. Cap: 5000 pounds. Well it's taken a few decades to finally happen but Rice Lake finally has a pallet jack with built in scale. Best of all you can order it through authorized distributor Central Carolina Scale headquartered in Sanford, NC for great prices and easy ordering. With this new scale you can weigh and transport pallets in one streamlined process with Rice Lake Weighing Systems pallet jack scales. 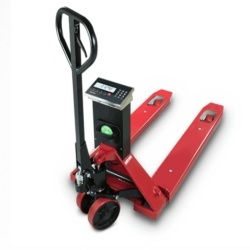 Easy to use, the RL-HPJ offers maximum precision for tracking shipping and receiving weights. Speed up the process when weighing and transporting pallets! Loading and unloading products at a fixed location to record a pallet weight is no longer necessary. Instead, optimize material handling flow by weighing pallets in place. The RL-HPJ keeps the weighing and transporting process moving for up to 80 hours of continuous use using battery power, while the integrated digital scale provides a clearly visible weight readout on its large 1 inch LCD display. With a Rice Lake pallet jack scale, material handling is faster and more efficient for warehouse operations. Battery power keeps the weighing and transport process moving, while the integrated digital indicator provides a clear weight readout in any lighting condition. With a Rice Lake pallet jack scale, material handling is faster and more efficient for your warehouse because you're not trying to drive a forklift around the warehouse looking for a floor scale to weigh pallets.